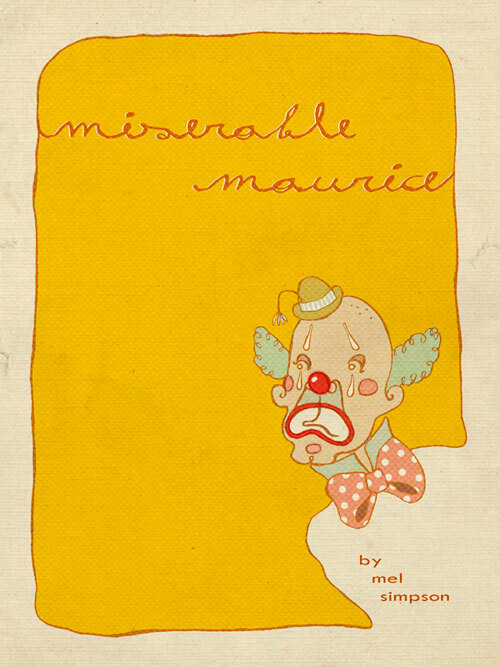 Miserable Maurice book cover design. I wanted to make it look like a vintage 60’s children’s book cover, a bit stained, a bit worn, a bit…miserable, just like Maurice. This is for a old College tutor of mine who is a retired, unpublished children’s book author. The story is a real romp too! Mel has a wicked sense of humour.